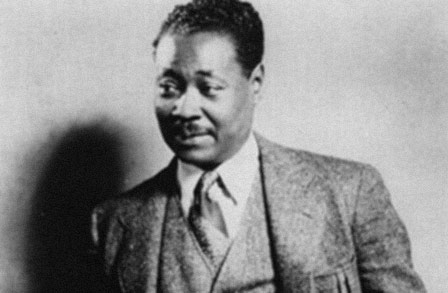 This poem was penned in 1919 by Claude McKay. At the time it was published, serious race riots primarily involving White assaults on Black neighborhoods in a dozen American cities were occurring. McKay wrote this poem in response to these race riots that resulting in the deaths of numerous Black people. It was his desire for Black people to not simply accept these assaults and murders but to fight back against these efforts to annihilate them. The poet asserts that “If we must die” we should die “fighting back”—not accepting our demise in a docile way. In a fight against racism, discrimination and oppression, it’s vital to understand that there are going to be battles you lose, but fighting back gives one an opportunity to win the war, which is more important. The speaker of the poem highlights that to die to fighting against racism and discrimination is to “die nobly.” In our contemporary period, we don’t have enough people willing to combat the “monsters” who oppress us. One of the fundamental reasons why we’re currently struggling to win against racial oppression is envy within our ranks. McKay’s poem calls for solidarity and not division among Black people. The poet wants us to recognize that we’re facing a “common foe”: racists. Too often we allow envy to cause us to lose sight of the common foe. While we’re attempting to undermine one another, the common foe is gaining a larger advantage in the effort to destroy us. McKay is keenly aware of how a lack of commitment to solidarity weakens Black people in the fight against their oppressors. The racists are united in their mission to decimate Black people. For McKay, Blacks must match their solidarity. True solidarity is necessary to defeating the robust manacles of racism. Although our contemporary conditions are not exactly like those McKay writes about in 1919, Black people still face racism, racial prejudice, and discrimination. We must learn to stand united against our current oppressors. When we begin to cognize that we should stop fighting one another and start fighting our oppressors, we will witness the authentic change we long to see. Yet another one, well written and explained very well. Thanks for sharing this!! Thank you! I’m glad that you found the piece to provide a clear explanation of the poem. Too often people compose explanations/explications of poems that are more difficult to understand than the poems themselves. Yes….and u simplifying it is great!